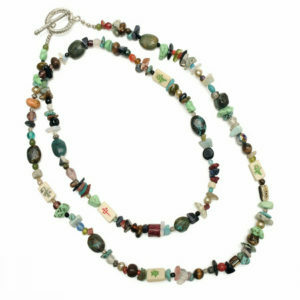 A regal look comes with this necklace of black and blue Czech glass seed beads and wonderful blue and white Chinese beads. 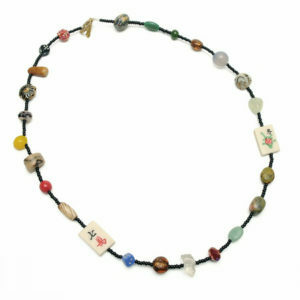 Two petite bone Mah Jongg tile beads in the body of the necklace and one on a dangle. 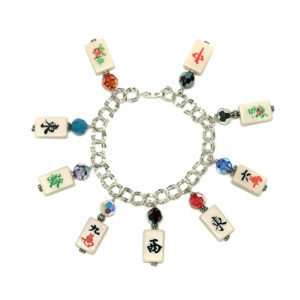 Gold-tone clasp. 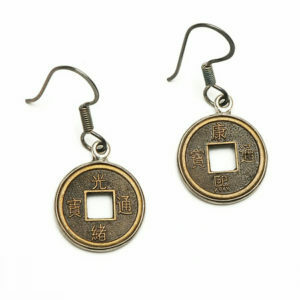 Matching earrings are available at an additional cost to enjoy as a set. 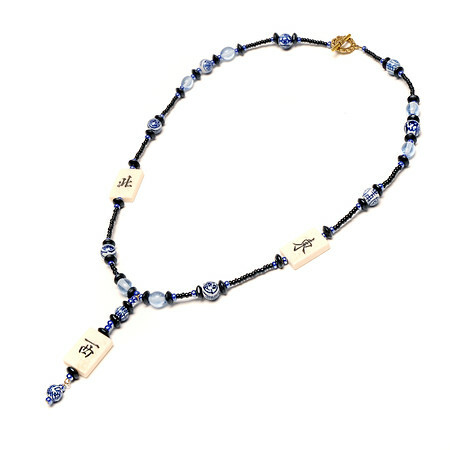 A regal look comes with this mah jongg necklace of black and blue Czech glass seed beads and wonderful blue and white Chinese beads. 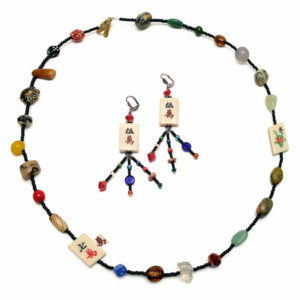 Two petite bone Mah Jongg tile beads in the body of the necklace and one on a dangle. Gold-tone clasp. 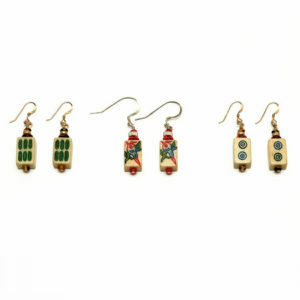 Matching earrings are available at an additional cost to enjoy as a set.